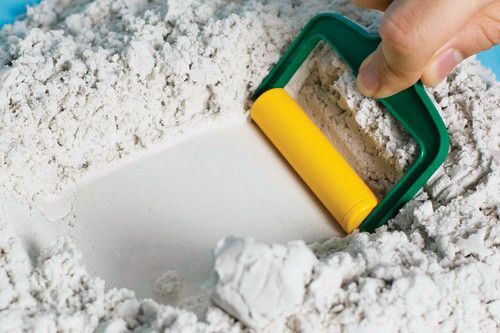 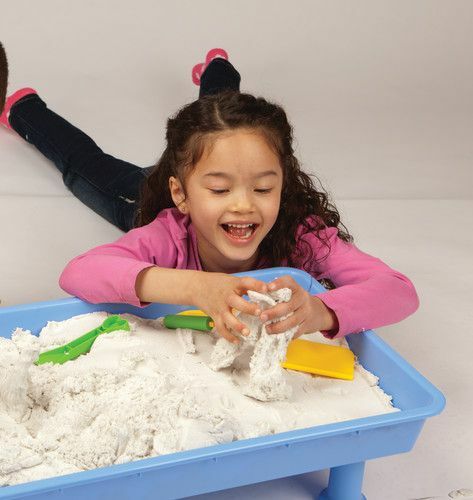 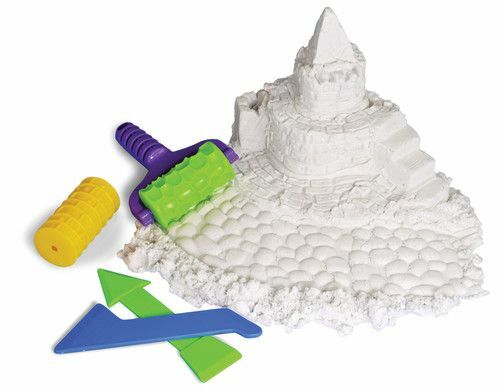 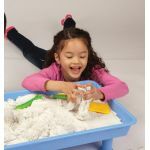 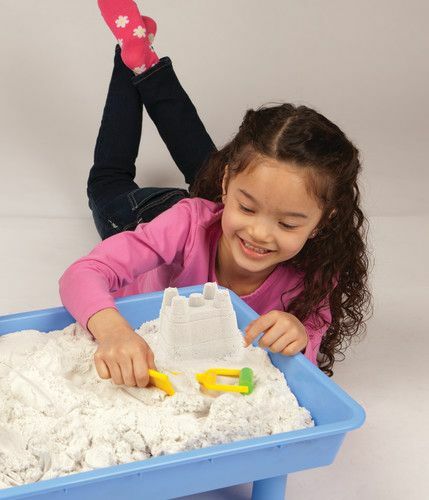 This amazing learning and play compound offers all the fun of sand without the mess! 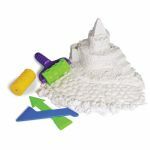 Mold it into hard durable shapes, and with a soft touch, it will break apart and appear to move, almost as if it were alive! 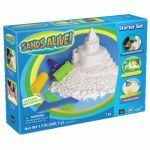 Sands Alive! 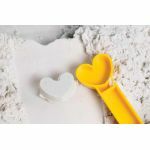 is 100% organic and never dries out. 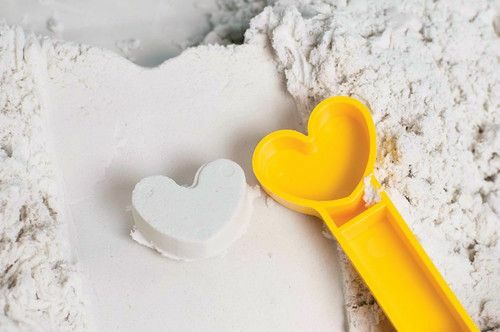 Unique non-toxic formula prevents bacterial growth. 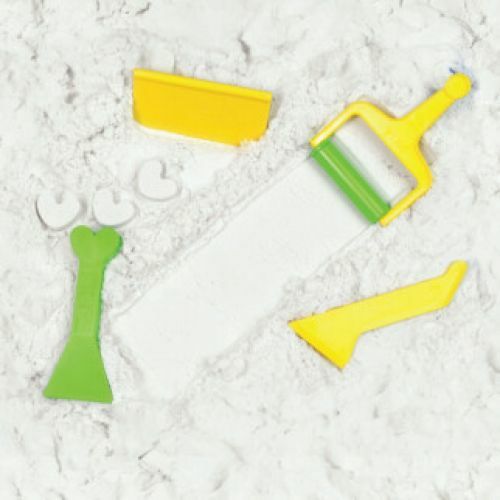 And clean-up's a breeze—picks up easily off floors and carpets. 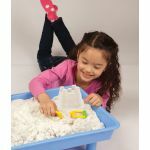 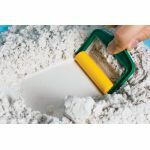 Ages 3+ Includes Brick and Pebble Rollers with Interchangeable Handle, 2 Sculpting Tools, Small Play Tray and 1 1⁄2 lbs. 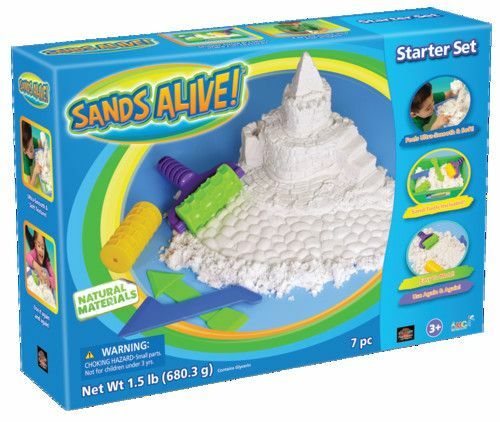 of Sands Alive!